December 20, 2010 – As profiled in Roger Weisberg and Vanessa Roth’s critically acclaimed film AGING OUT, Risa Bejarano was a foster care success story. Recently graduated from high school, she set out for college with multiple scholarships and a sense of excitement about her future. Then, she was brutally murdered. Soon, AGING OUT became the centerpiece of Ms. Bejarano’s murder trial, as prosecutors used the film to heighten sympathy for the victim and hatred for the defendant. Troubled that their documentary was being used to advance the prosecutor’s argument for the death penalty, filmmakers Roth (Academy Award® winner, Freeheld) and Weisberg (Academy Award® nominee, Sound and Fury, Why Can’t We Be a Family Again?) made a second film, NO TOMORROW, which focuses on the trial and the unexpected use of AGING OUT as evidence. In NO TOMORROW, similarities emerge between Ms. Bejarano and her killer, and viewers are forced to question not just whether the accused deserves to die, but whether the state deserves to kill. Three years after Ms. Bejarano’s murder, Juan Jose Chavez went on trial in front of Judge Lance Ito, who presided over the O.J. Simpson trial. NO TOMORROW covers the trial’s most dramatic moments in Judge Ito’s courtroom, including a heated debate over the prosecutor’s use of AGING OUT in order to persuade the jury to impose the death penalty. Although some viewers may feel that the death penalty is a legitimate emotional response to a heinous crime like Ms. Bejarano’s murder, NO TOMORROW will make them question whether capital punishment is too imperfect, arbitrary, discriminatory, and costly to be a legitimate public policy. 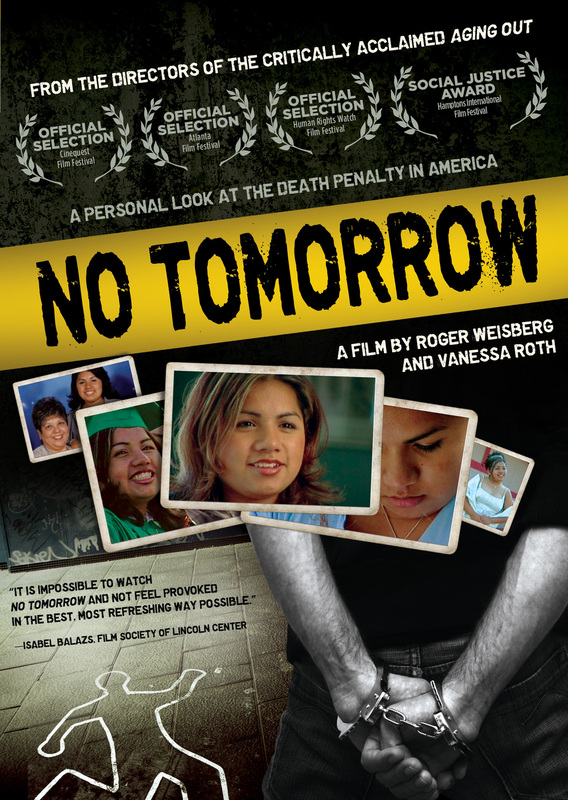 Ultimately, the unique film-within-a-film perspective of NO TOMORROW takes viewers inside a suspenseful death penalty trial and challenges their beliefs about capital punishment. In addition to the filmmakers’ on-screen commentary, NO TOMORROW features in-depth interviews with members of the jury and key participants involved in the trial, plus scholars, judges and activists arguing both sides of the heated issue. NO TOMORROW was featured in a dozen film festivals and won the Social Justice Prize at the Hamptons International Film Festival. It premieres March 25, 2011, on PBS. 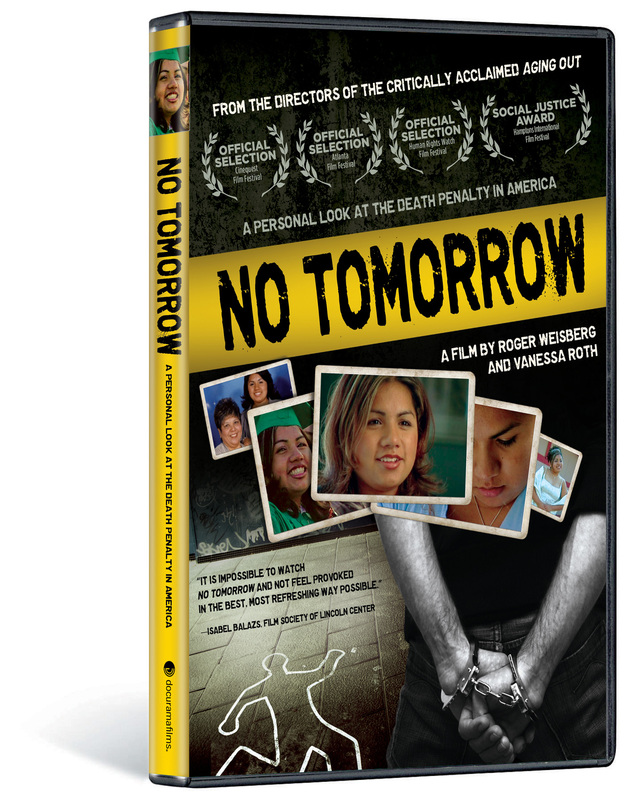 The DVD features READY OR NOT, a 30-minute documentary about Ms. Bejarano’s last year of life, and the theatrical trailer for NO TOMORROW. NO TOMORROW is directed and produced by Roger Weisberg and Vanessa Roth; edited by Tom Haneke.